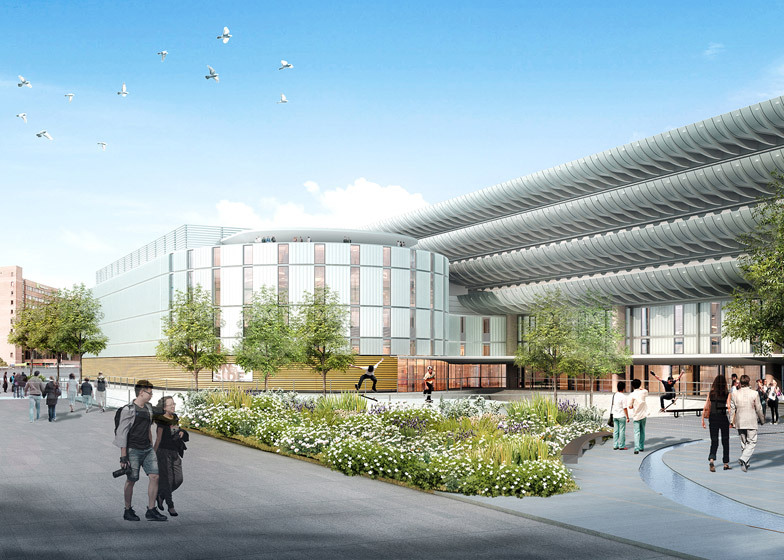 The Royal Institute of British Architects has revealed five possible designs for a youth centre that will form part of the £23 million redevelopment of Preston's Brutalist bus station, which was recently saved from demolition (+ slideshow). 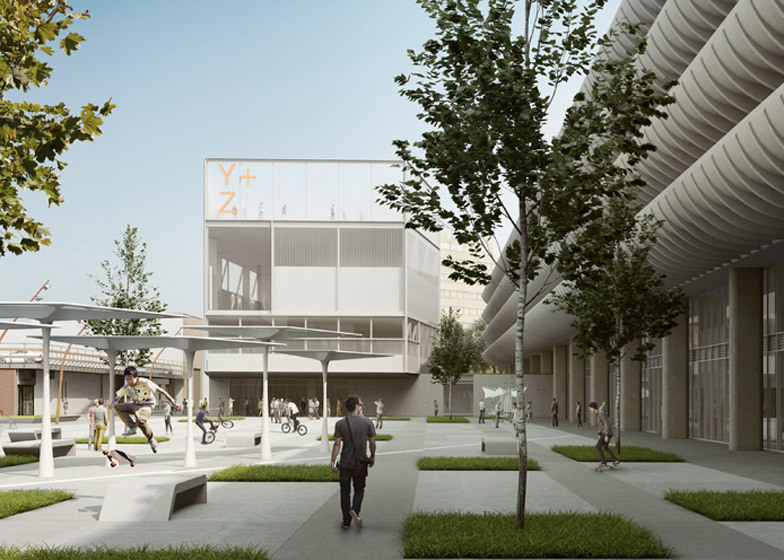 Five teams are shortlisted for the construction of a youth centre beside the curving concrete parking bays of Preston Bus Station in Lancashire, England. 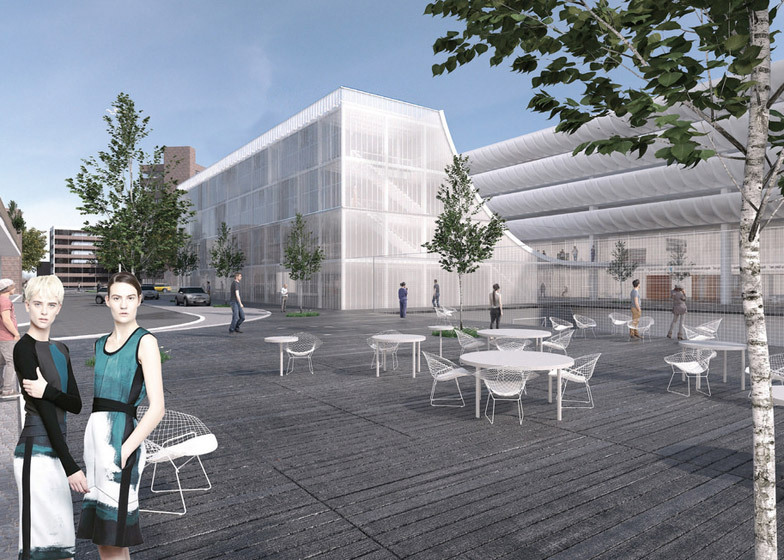 Among the anonymously submitted designs for the centre is a four-storey translucent structure with a scooped roof that follows the profile of the original 1960s building to its rear. Visitors would have access to the slab-like roof, providing an additional outdoor space. The second design is a three-story cuboid block with internal courtyards and social and cafe spaces, and a basketball court of the roof. Design three features a wide band of striped brown cladding around its middle and also has a sports field on the roof, with a basketball court and climbing wall housed on the second floor above a ground area with social spaces and a gym. Design four proposes a larger block, with a harlequin-patterned facade, triple-height atrium with climbing wall, and a double height multi-sports court on the third level. The final scheme offers a longer, squatter structure with curved ends like a pill. The central space is dedicated to sports pitches, while other facilities – including a performing arts space and a boxing gym – are arranged around the edges. All of the designs include a revamped public space around the new addition, and a reconfigurations of the bus station's existing concourses. 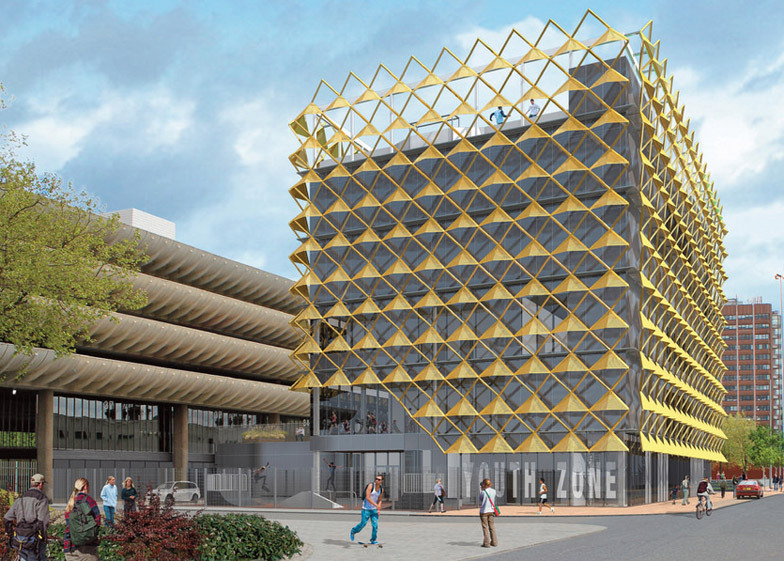 The Preston Youth Zone forms part of a redevelopment plan for the Brutalist icon, which was designed in the 1960s by Keith Ingham and Charles Wilson of British architecture firm BDP. The building features four tiers of curving concrete fins that shield the nine staggered parking levels within. On completion in 1969, the 170-metre-long structure was the largest bus station in Europe. 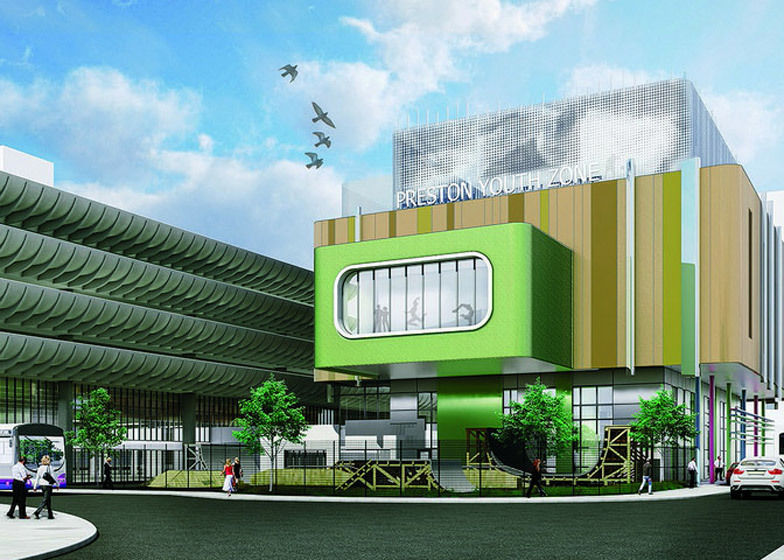 Preston City Council voted to demolish the bus station in 2012 to make way for a smaller facility with lower running costs. But it was saved by the government's decision to grant it Grade II-listed status in September 2013, following a protracted preservation campaign backed by architect Richard Rogers and Dutch firm OMA. 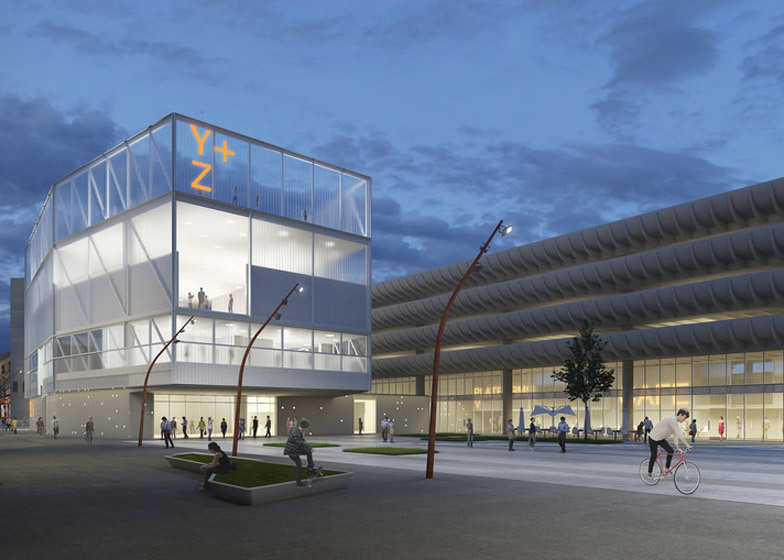 "The Grade II-listed bus station will continue to be a major transport hub, but we also want to develop an exciting new space for young people," said Lancashire council leader Jennifer Mein. "I've seen the five shortlisted submissions and I certainly feel that we've got innovative entries that will result in stunning plans for the site." Almost 100 entries were submitted to the RIBA-run competition, which was judged by a panel led by the British architect Hugh Broughton. The five shortlisted designs will be on show at the station between 16 and 17 July, and on the council's website, where members of the public can vote for their favourite design until 4pm on Tuesday 21 July. Votes will make up 10 per cent of the overall score when the judges decide the winning design later this summer. 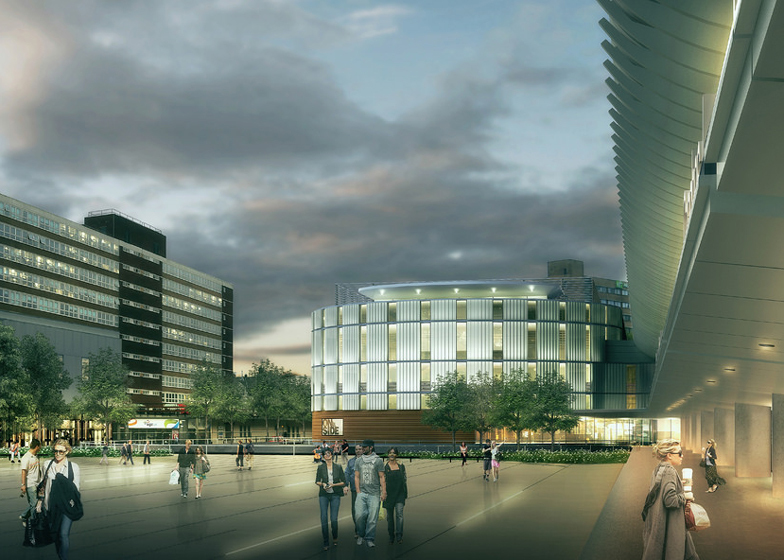 The £23 million refurbishment will be delivered with financial support from public, private and voluntary sectors. 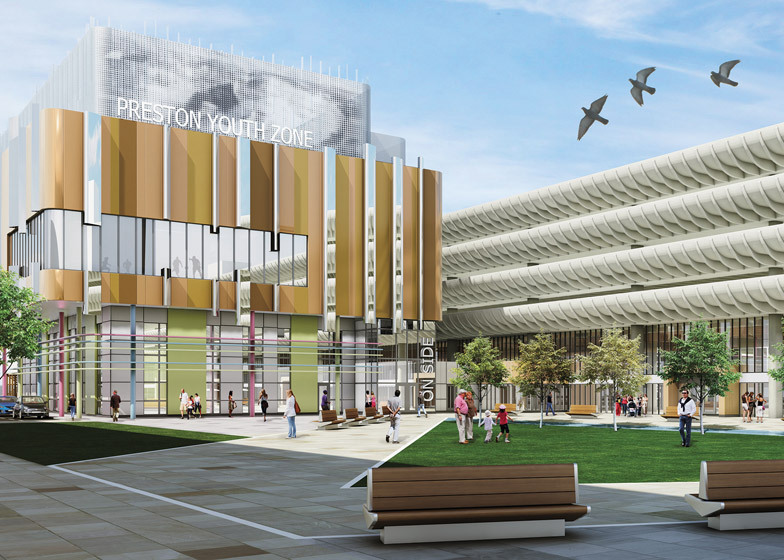 The community group Preston Youth Zone will occupy the new structure and contribute £1 million towards its construction costs, while Lancashire council will dedicate £5 million from its budget. Another Brutalist monument set for renovation is St Peter's Seminary in Cardross, Scotland, by Gillespie, Kidd & Coia, which is being turned into a major venue for arts and culture after a quarter of a century of decay. 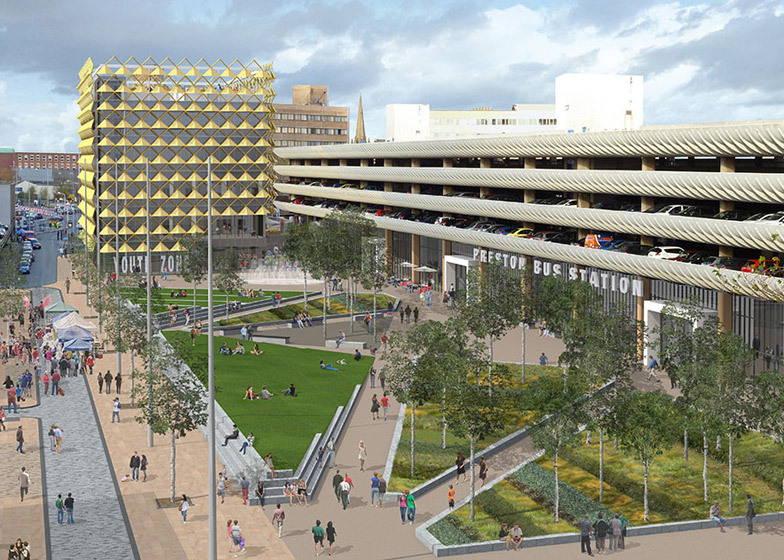 Brutalist buildings that have already received a facelift include Powell & Moya's revered Chichester Festival Theatre and the Park Hill housing estate in Sheffield. Despite a recent resurgance in the popularity of Brutalist buildings, the troubled Robin Hood Gardens development in east London remains under threat of demolition, and architects are urging the architectural community to support its preservation.